Following the August signing of the Convention on the legal status of the Caspian Sea, the Southern Gas Corridor (SGC), a large-scale gas pipeline project that aspires to connect the region’s copious hydrocarbon resources to the European markets, has been drawn back into international debate. The present article illuminates how the SGC enhances the potential for cross-border interconnectivity amongst EU member-states in Central and Eastern Europe (CEE) and the Balkans, as well as amongst the Energy Community contracting parties. 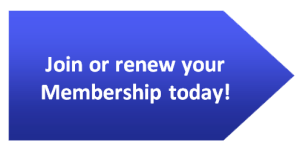 The Energy Community is an initiative introduced at the onset of the twenty-first century by the EU and several third countries in its southeastern vicinity, focusing on the extension of the EU’s existing rules to aspirants for membership. 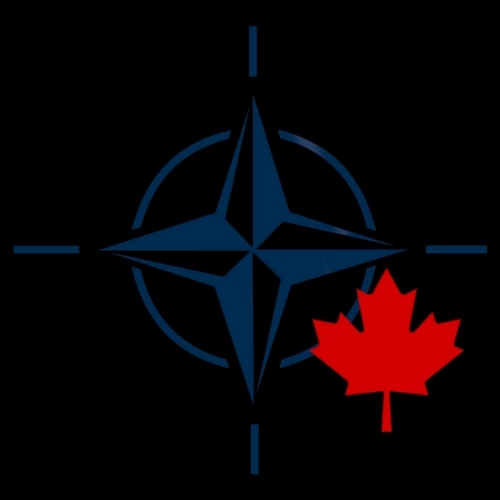 This broad geographic area is considered particularly vulnerable to supply shocks, like those experienced during the first decade of the new millennium via the Ukrainian transit corridor. That is because the countries concerned are generally characterized by meagre or ill-explored indigenous resources, limited storage deliverability and a relative absence of bidirectional pipelines that could serve as entry-points for alternative gas volumes. The EU’s energy road-map for the Balkans and their eastern neighbours, now working their way into Euro-Atlantic institutions, involves an array of vertical (south-north) and horizontal (east-west) interconnections and LNG terminals, all closely intertwined with the SGC network. These include a series of planned infrastructures along the Vertical Gas Corridor (Greece-Ukraine), the BRUA pipeline (Bulgaria-Romania-Hungary-Austria, ‘’U’’ for ‘’Ungaria’’) and the West Balkan pipeline or IAP (‘’Ionian-Adriatic Pipeline’’, Albania-Montenegro-Bosnia/Herzegovina-Croatia). The specific projects often figure in the Lists of Projects of Common Interest (PCIs) drawn up every two years by the European Commission, which deems them indispensable for regional market integration under the Central and South Eastern European Connectivity (CESEC) cooperation framework. 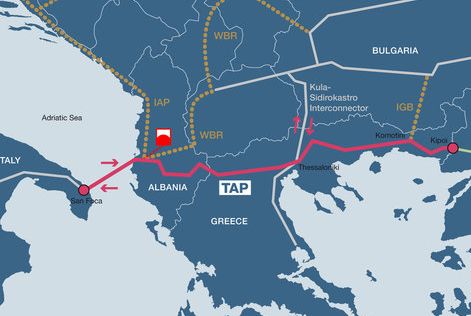 The Trans-Adriatic Pipeline (TAP), as the third and final segment of the SGC, is the point of departure for the aforementioned facilities and interconnectors. This is because it satisfies many of the objectives set out by the nine EU member states (Austria, Bulgaria, Greece, Croatia, Hungary, Italy, Romania, Slovenia, Slovakia) and eight Energy Community contracting parties (FYROM, Serbia, Ukraine, Albania, Bosnia and Herzegovina, Montenegro, Kosovo, Moldova) that compose the CESEC high-level group. TAP entails the development of underground storage capacity that would help ensure supply reliability in case of future cut-offs. It also increases the bidirectional capacity of the European gas grid, a commitment undertaken by TSOs regarding cross-member state gas infrastructures in the aftermath of the 2009 Russia-Ukraine spat over gas deliveries to Europe.. In addition, TAP encourages the region’s access to a diverse pool of suppliers, especially in view of the very favourable prospects for the Trans-Caspian Gas Pipeline (TCGP), destined to transport Kazakh and Turkmen gas to Europe, thanks to the recent settlement of the Caspian Sea’s legal status. These projects are in the process of surmounting technical, economic and financial hurdles that are mostly a result of the decreased global midstream expenditure following the 2014 oil price downturn. Meanwhile, the actual SGC pieces are now starting to fall into place. Most notably, the second-phase development of Azerbaijan’s offshore Shah Deniz deposit is expected to produce 16 billion cubic metres per year (bcm/y) of natural gas that will reach Europe through the South Caucasus Pipeline (Azerbaijan-Georgia-Turkey), the Trans-Anatolian Natural Gas Pipeline (TANAP, after its Turkish initials, running east-to-west across Turkey) and the TAP (Greece-Albania-Italy). Of that quantity, 6 bcm/y will cover domestic Turkish consumption, while 10 bcm/y are earmarked for Greece, Bulgaria, Italy and adjacent markets. Still, this latter amount represents only two percent of the EU’s overall natural gas demand projected for 2020. Against this background, gas from the Caspian Sea basin is not really a major competitor for such regular exporters to the EU as Russia and Norway. On the other hand, the CEE and Balkan countries for the most part appear receptive to midstream investments, which would strengthen competition and economic liberalization in their markets, while minimizing their reliance on a single dominant fuel supplier. In this respect, the SGC has much to offer them. Reverse-flow and storage options safeguard the security of energy supply against operational disruptions and, if accompanied by the unbundling of gas monopolies in several of the countries concerned, could bring about genuine energy market liberalization in the wider region. Moreover, the SGC and its northward branches (Vertical Gas Corridor, BRUA, IAP) introduce what those in the industry call “supply optionality”, i.e., the flexibility, abundance and diversity of supply that enable buyers to optimize their commercial choices amongst offers of gas from different sellers and different original sources. Supply optionality is one of the key conditions for a subsequent transition to hub-based gas pricing in South East Europe (SEE). Notwithstanding constraints on midstream and offshore spending that derive from commodity-price volatility, the declared political will to get these projects off the ground has been strong. The question now is whether investing firms will overcome the financial discipline imposed on them by the down-cycle in the oil-price market. The markets’ common need for greater competition amongst suppliers and greater resilience of the gas networks themselves gives reason for hope.